Kanchenjunga and Darjeeling are functionally in different worlds. The serene, forgiving lush lowlands contrast sharply with the majestic and forbidding icy summits. Stretching northward and embracing the southern arc of Kanchenjunga, the tea plantations near Darjeeling give way imperceptibly to the spice plantations of Nepal and Sikkim.The trek provides the closest view of the world’s third highest mountain Mt. Kanchenjunga. (8586m.) along with other mountains. The trail of the trek follows pleasantly beautiful natural scenarios and panoramic view of high mountains. Kanchenjunga region is one of the popular remote treks in Nepal. The region has full of flora and fauna along with different wildlife and birds. 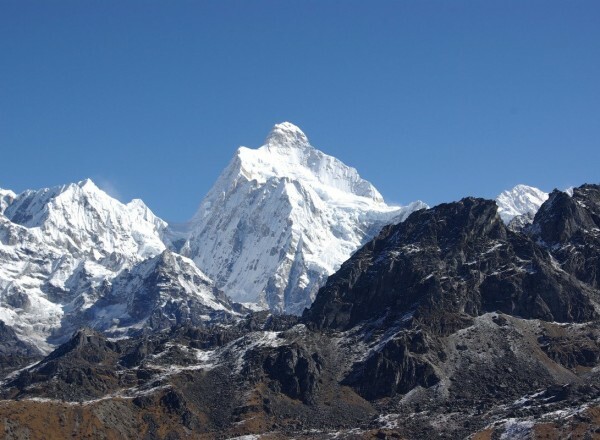 Kanchenjunga Trek offers the exploration of Nepal’s eastern life to the Border of Eastern Nepal. As the trail ascends high mountains, the picturesque view of the grassy lands, rocky outgrowths and the sub-tropical forests make you feel charmed by the magic of nature. The superb scene of flowery forest of rhododendron, lilies, primula and orchids is unforgettable along with the views of green valleys and pasture lands and terraced fields. Trekking in this region is also the opportunity to explore Nepal’s remote area and the life style of high mountain people. The cultural and religious practices of the remote area and their simple life style in this age of modern technology give a deep insight about their status. The economic activities and their daily routines are far more difficult than your imaginations. Hospitality of the local people and warm smile adds energy while trekking. The trekking continues to the wilderness for some days.The Trek to Kanchenjunga follows the route to the Onglakhing Glacier and Samity Lake. The ascend to the pass also provides superb scenery of Talung Glacier and the gigantic view of Mt. Kanchenjunga. Around view is of Kirat Chuli (7365m. ), Talung (7349m. ), Kabru (7338m. ), Pyramid Peak (7123m.) and Rathong (6679m.) etc. is breath stopping and life memorable. Kanchenjunga Trek is to the remote area of Nepal which is very rich in its hidden beauty of the nature. Trekking in this trail needs good health and fitness. Previous experience of the trekking in high altitude can be helpful though committed trekkers with the spirit of having adventure can make trekking their life adventure while trekking in Kanchenjunga region. Our airport representative will picks up from Kathmandu International airport and transfer to hotel. Evening welcome dinner with Nepalese cultural show. After breakfast we have choice, either doing the sightseeing to some UNESCO world heritage sites or be free for the next day's preparations. We will take early morning flight to Suketar Airport lies in the eastern region of Nepal. 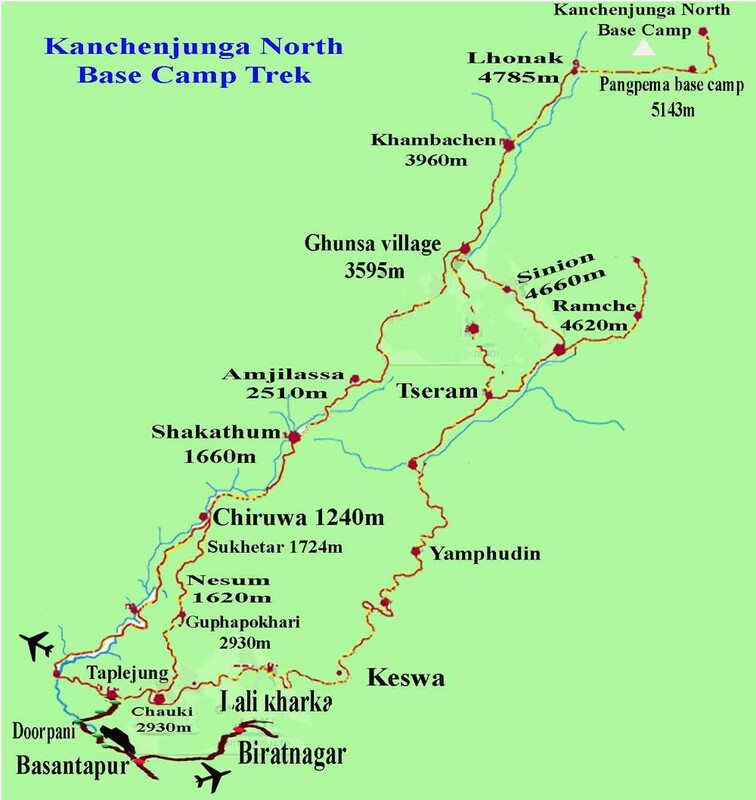 After reaching there we will prepare our luggages, meet the trekking porters and walk to Lalikharkha. Today’s trek will be mostly uphill on an easy trail whereby we mostly walk alongside the Kabeli Khola. During the walk we also admire the beautiful ridge behind the stream. We continue our walk and admire a beautiful waterfall nearby. After walking for some time, we cross a small suspension bridge. 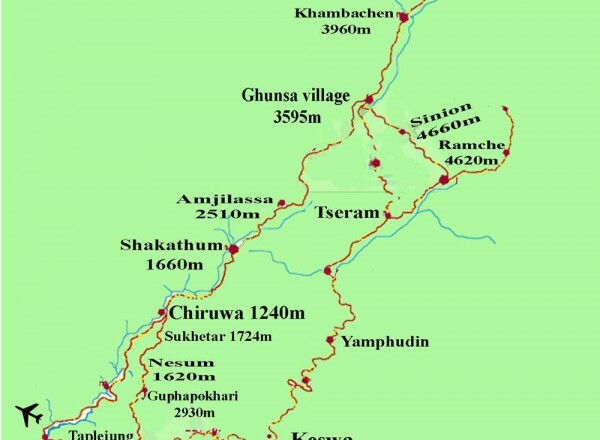 We pass through small settlements before reaching Yamphudin to spend the night. We spend a day in Cheram which will help us acclimatize to the high altitude. We can spend the rest of the day resting and taking part in small hikes. 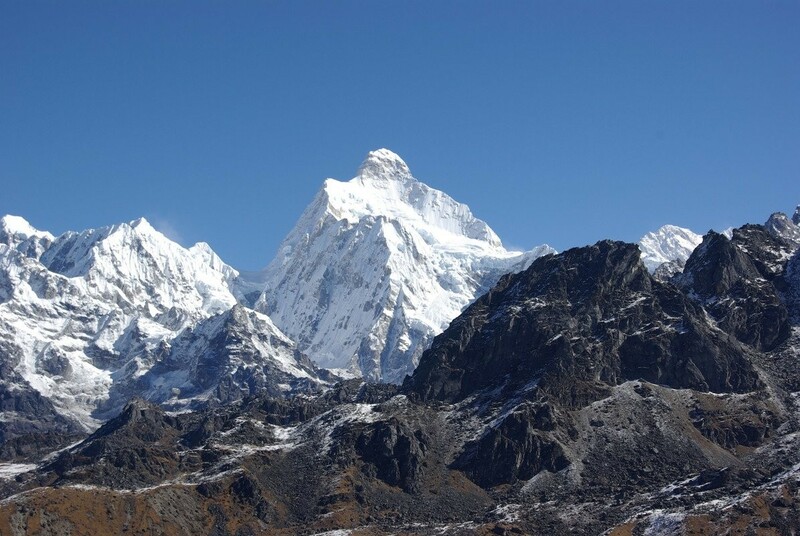 We can explore the areas around the Yalung Glacier. There is also a viewpoint for Kabaru and Rathong peaks. Overnight in Cheram. Today in the last day of our trekking. We will walk around Suketar. We will have early morning flight from Suketar to Kathmandu. After arrival in Kathmandu we will have free time for shopping and rest. Evening we have farewell dinner. Free till departure. Our representative will take you to airport for the departure flight.